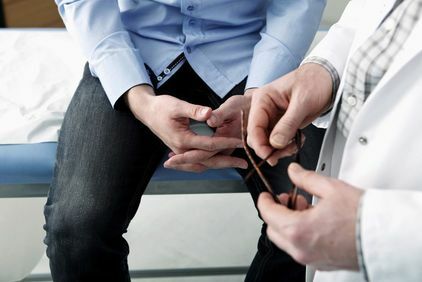 There are several potential causes of infertility, all of which our highly trained specialists in San Antonio, TX, can explain during your private consultation. While many patients believe that the causes of infertility stem primarily from the women, in reality, there is a 30-40% risk of a male factor as well. For both men and women, there are a number of potential causes of infertility, ranging from medical conditions to environmental factors. By determining the cause of infertility, we can strategize treatment methods to help you and your partner conceive. To learn more about the causes of infertility, or to discuss your case in depth, contact the Fertility Center of San Antonio to schedule a consultation. Cancer treatments such as chemotherapy work by destroying rapidly dividing cells. Unfortunately, chemotherapy not only targets cancerous cells; it also targets healthy cells, including sperm. It is difficult to predict how a male patient's fertility will be affected by chemotherapy, because this is largely dependent on the type and number of drugs received. Additionally, certain cancers may affect fertility even before treatment begins, including Hodgkin’s disease and testicular cancer. We will work with you every step of the way to successfully identify and address any factors that could be impacting your ability to conceive. Physical abnormalities and other issues affecting the uterus or cervix can cause infertility, including past surgeries, abnormal cervical mucus, uterine polyps, and more. Affecting between six and seven percent of women in the U.S., endometriosis causes infertility in nearly 50 percent of those who live with this condition. Endometriosis results in excessive uterine lining, which may also occur outside of the uterus and affect the fallopian tubes, the ovaries, and more. Some patients with endometriosis suffer symptoms such as painful, heavy, and lengthy menstrual cycles. Other patients experience no symptoms at all. Women are susceptible to a number of cancers that can affect the reproductive organs, including ovarian, cervical, and uterine cancers. Additionally, cancer treatments such as chemotherapy can damage a woman’s eggs. Other treatments, such as radiation therapy, can damage a woman’s ovaries, affecting her fertility. If you and your partner are suffering from infertility, contact the Fertility Center of San Antonio to schedule a consultation with one of our esteemed specialists.